Men’s Superbrands is the first of a seven-phase redevelopment of a famous Knightsbridge retailer’s store-wide £200m investment project. 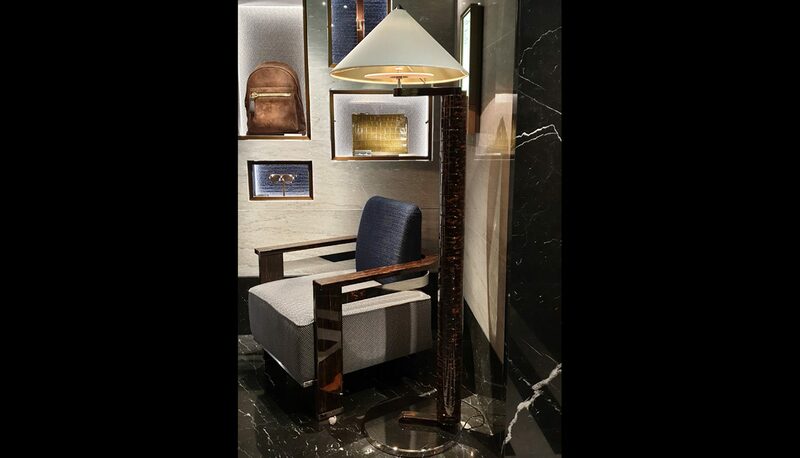 The new 3,809 sq ft department combines the aesthetic of classic men’s tailoring with mid twentieth century architectural references and was designed by David Collins Studio. The design intent was to capture classic club interiors. This was achieved by extracting and adapting traditional British architectural styles to provide a destination that men want to visit, will enjoy visiting and a space to inspire and excite backed by an excellent service and product proposition. 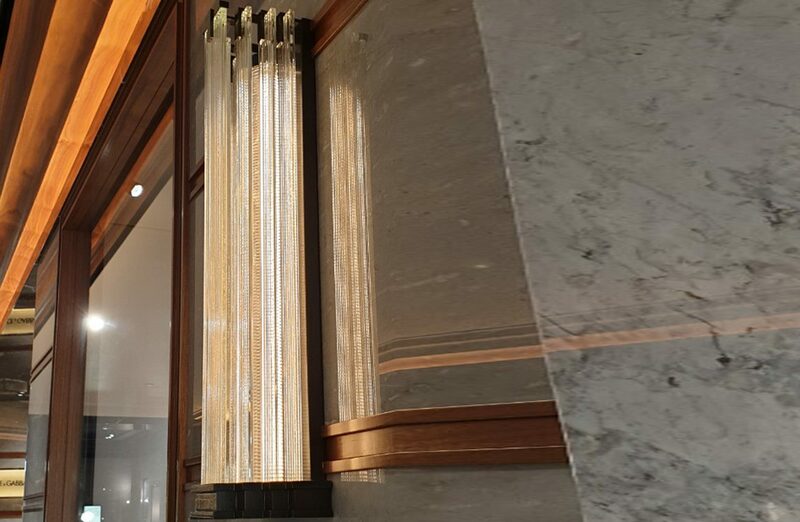 When it came to feature lighting Dernier & Hamlyn was delighted to be awarded this exciting project. Their London based team of bespoke lighting specialists had worked previously with David Collins Studio’s team on several successful projects and Dernier & Hamlyn’s team brings together a unique range of skills that resulted in high-quality lighting that complements the bespoke furniture crafted for the superbrands department. 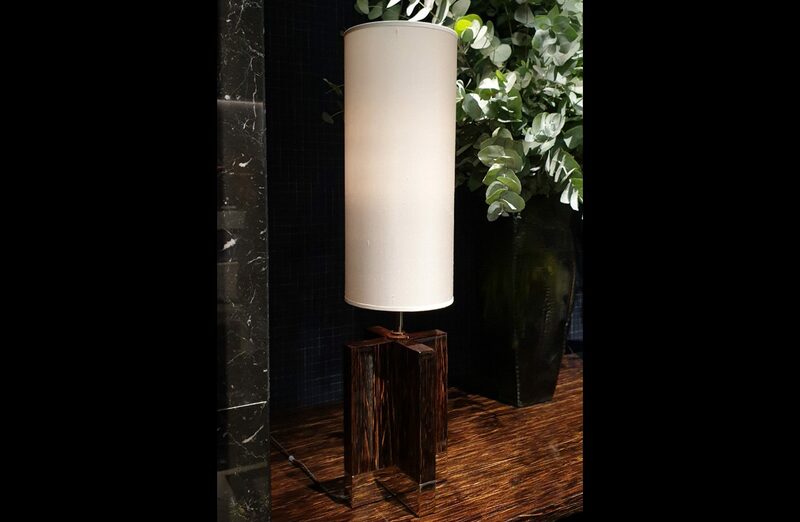 Dernier & Hamlyn produced 8 floor lamps and 5 table lamps that used wood veneer that harmonised with other fittings and included handmade silk shades. 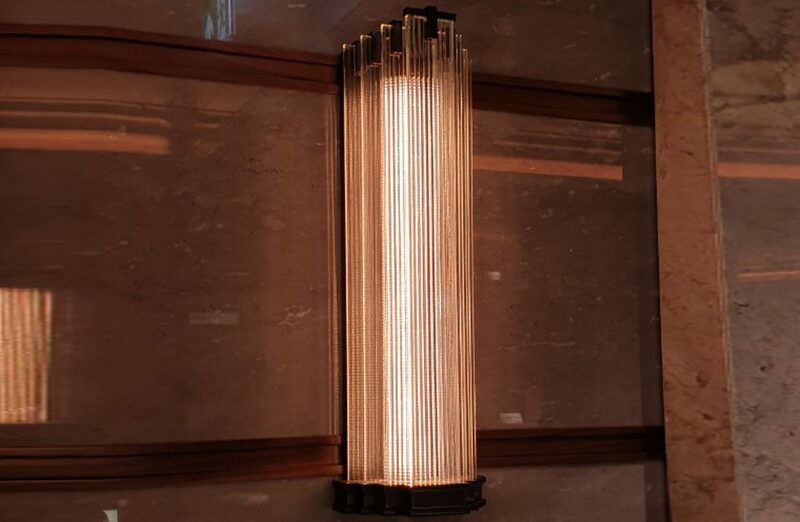 65 ribbed glass were also made in Dernier & Hamlyn’s factory that included extruded aluminium frames and specially sourced LED lamps.